Nilotron 2.2 oz. 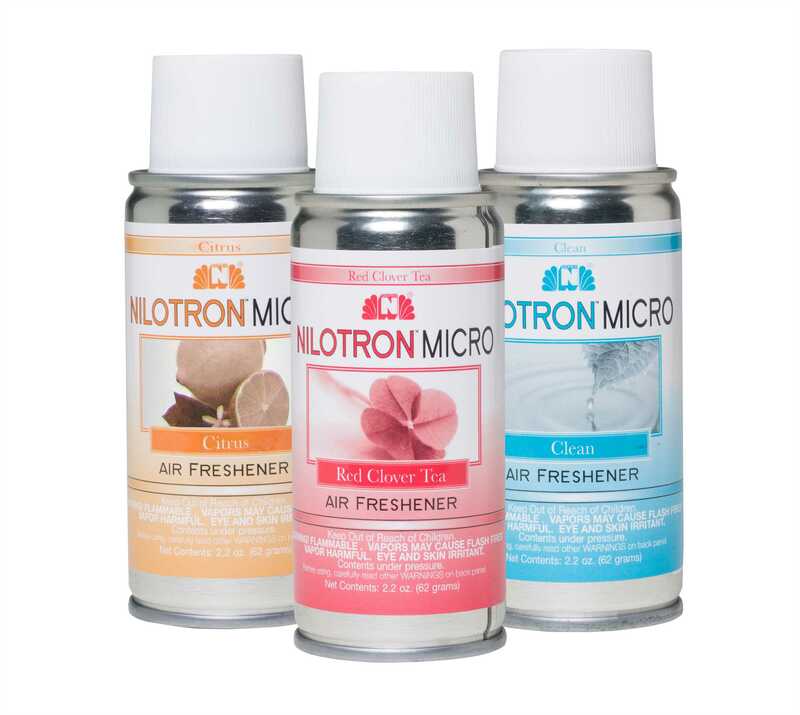 MICRO metered air freshener refills contain premium long lasting fragrance power. Can be used in our low profile Nilotron MICRO aerosol dispenser, and will fit most micro aerosol dispensers. Refills will last 15 to 60 days (depending on spray interval setting). Can also be used as a personal hand held air freshener—the MICRO metered aerosol is perfectly sized for pockets, purses and desktops. Special Notes: AEROSOLS SHIPPED VIA GROUND ONLY. DOMESTIC SHIPPING ONLY!